When you think of Unreal Engine enviroments, the first things that comes to mind are corridors and more or less medium sized "rooms". And it's certainly because of this perception, and just to prove how wrong it is, that Epic released this amazing looking video showing the open world capability of Unreal Engine 4. Thanks to -SD- for the video! 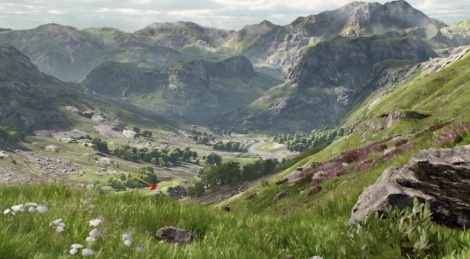 If you want to know more about this open world, check yesterday's UE4 presentation from the GDC. This is the one running on the Titan X? as always, looks fantastic. But how long til we see an actual game look like this? YEARS. I mean, for Pete's sake they're running this on a 12GB ultra graphics card. We won't see a game look like this on this scale until the NEXT generation of consoles. Guaranteed. It's nice to be able to rely on you guys to provide high quality videos of these demo's. Hard to find anywhere else. how much will TitanX cost? 5K, 10k €? Not impressed, I think Crytek's engine does a much better job with outdoors. When will I play a game as beautiful as this one? Just when? I personally think Epic has surpassed Crytek when it comes to visuals. To me, UE4 looks the most pleasing to the eye when it's rendering something is as advanced as this. This is almost Pixar level of detail and IQ, in real time, which is staggering. It doesn't matter what card it's running on. It's almost CG quality. However, I agree with people who say that a game won't be seen looking like this for a while, but perhaps not as long as you'd think. Remember, DX 12 should yield very good results for game development. Oh yeah this blows crytek away. I was convinced they were lying about it being real time until I saw a video of their GDC presentation where they were free roaming the environment. I did notice in that demo, however, pop in particularly of shadows was much more pronounced than in this cinematic. But yeah this looks light years beyond what we're currently seeing. The Order is the closest we have to this in sheer fidelity. Crytek isn't touching it yet. 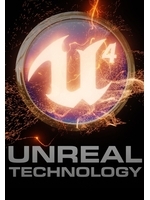 The UE4 Tech demo is very premium quality. Of course this was not based on current gen level hardware. TitanX with 12 gbs of memory is way more. The infiltrator demo was on a GTX 680 and looked very premium as well. UE4 is so different from the revisions before. As for Crytek, They both look realistic to me. I don't see many effects setting them apart now. UE3 and Cryengine 3 there's a big difference. Yep, UE4 doesn't currently support multi-GPU configurations without issues. completely untrue, just over 4 years ago the GTX 590 and HD 6990 were the most powerful consumer grade gaming graphics card's yet if you tried to run crysis 3 on them at 3840x2160 you would be lucky to get over 10 fps unless you severely lowered the settings, now we have much more powerful graphics cards and soon to have even better API's than DX11 and soon AMD will be releasing their new R9 300 series graphics cards with HBM! New APIs and next generation GPUs won't do anything for this generation of consoles.. which is what AMDman18 said. Plus.. no one had 4K monitors 4 years ago. who's talking about consoles, im talking about PC's and while you cut and paste what i said and twist it crysis 3 also was not available 4 years ago as for 4k you do know eyefinity/3dsurround was available 4 years ago, anyway if he meant consoles then he should have said on the consoles but as that was not what he said it in general, graphics like this will be very doable in less than 12 months time, seeing how graphics chips are still advancing at a rapid rate, if you saw this hardware demonstration 3 years ago (obviously im saying what if, obviously this is not a 3 year old hardware demonstration) you would say it was impossible a consumer grade single GPU could be able to do that yet that is exactly what has done this, now lets see how well an 8gb 290X handles it! I don't think anyone here, or anywhere else, is qualified to confirm that this will be the case. Although, of course graphics like this are already "doable" because what you see here is running in real time. It's not the assets that make this impressive. It's the scale. Whether or not a game with this LOD will be seen any time soon on that scale is anyone's guess. Unless, of course, you're an insider of a vendor or a developer working on something that's going to enable this kind of fidelity to the masses and at a viable cost to both development and consumer.